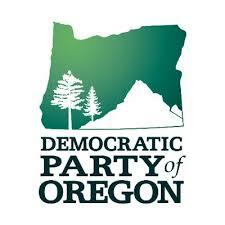 The Yamhill County Democratic Party is always looking for committed Democrats to run for local office. While presidential politics attract lots of attention, government at the local level has the most impact on our daily lives. Too often people hesitate to run in local elections believing that they don’t have the expertise needed to serve, or because they feel they have little chance of winning due to their partisan affiliation. The Yamhill County Democratic party is the party of the people. We believe all citizens have a role to play in our government, and we strongly support and encourage citizens with an interest in the well-being of our communities to pursue elective office. If you are interested in learning more about running for office, please visit the Yamhill County Candidate/Committee Resource page and download the New Candidate’s Quick Info Pack. Emily’s List – Focuses on helping pro-choice Democratic women run for office. She Should Run – Non-partisan non-profit organization that provides an approachable starting place and network for women leaders considering a future run for office and for those who support them. Run for Something – Encourages, trains and supports people under the age of 35 who are considering running for office.